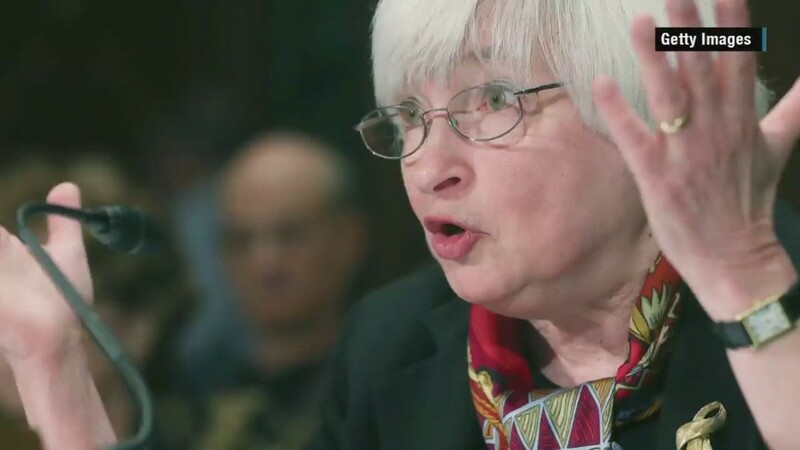 Federal Reserve Chair Janet Yellen has a message for Americans: liftoff is coming. Speaking in Cleveland, Yellen reaffirmed her view Friday that America's central bank intends to raise its key interest rate this year for the first time since 2006. "I expect that it will be appropriate at some point later this year to take the first step to raise the federal funds rate," Yellen said, referring to the bank's most-watched interest rate. A Fed rate hike would be a big deal for America. It would signal that the U.S. economy is nearly fully recovered from the depths of the Great Recession. It also holds big implications for U.S. investors and global markets. The Fed put interest rates at zero in late 2008 to help boost spending and the economy. A growing concern is that the Greek crisis or China's market meltdown could prolong the Fed's first rate hike, sometimes called liftoff. Yellen mentioned Greece once in her speech at the City Club of Cleveland, but only said the country's debt debacle "remains unresolved." However, the Fed's minutes from its June meeting -- which came out Wednesday -- show increased concern about Greece's ongoing debt negotiations. One of the domestic red flags that Yellen spoke about was the U.S. dollar's persistent strength. It gained value against most of the world's other currencies earlier this year, and it hasn't come back down as some economists expected. Coupled with low oil prices, a strong dollar puts inflation down. The Fed wants to see inflation hit 2% or at least move in that direction. Inflation in May was 0% compared to a year ago. Look to see if there's any pick up in inflation next week when the Labor Department reports June inflation. Despite no inflation, dollar strength and global gloom, Yellen and the Fed haven't explicitly budged from a rate hike this year.